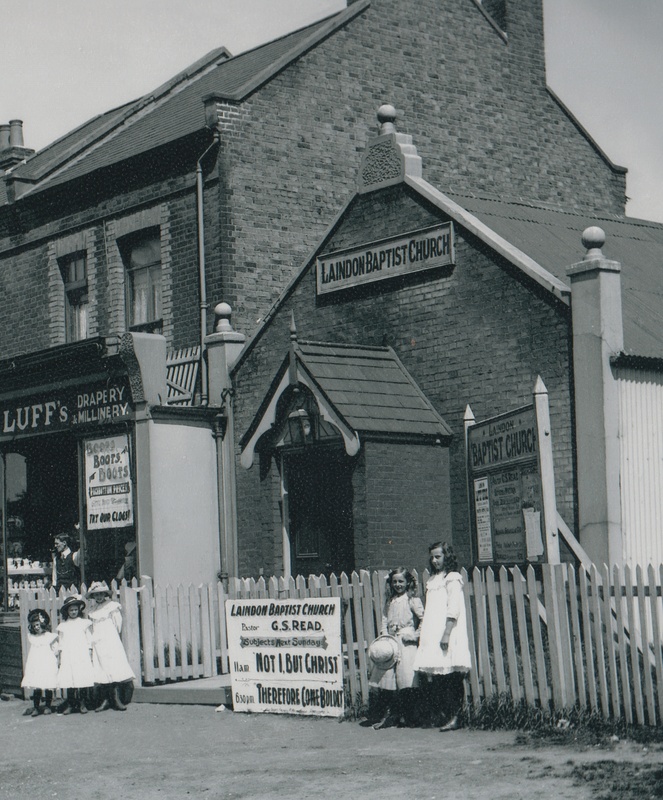 1902 saw the origins of the Baptist Fellowship in Laindon. In 1909 the official fellowship came into being, under the leadership of Mr G. S. Read at Nightingale Hall. The hall was volunteered during the 1st World War for social gatherings – every opportunity was taken for evangelism. A choir was formed early in the church, and a Sunday school began in 1910. A choir outing was recorded in 1912, when scholars and helpers travelled to Canvey by horse drawn brakes. During the period 1913-1915 the fellowship applied for membership of Essex Baptist Association and the Baptist Union. Records show collections in aid of Baptist Missionary Society; this was the first mention of Outreach, which continues, in various forms, to the present day i.e. India and Africa. After the 1st War Pastor C. E. Beckett came serving from 1920-26. During this time the first Baptistery was installed and Mrs Beckett formed a women’s own meeting. The present church land was purchased in 1926. Lots of hard work followed (under Rev. Shepherd), to raise funds for the present building, construction started 1931 and doors opened Aug. 1st of that year. It soon became necessary to have a new Sunday School Hall, which was started and opened in 1933. The Girls Life Brigade formed in 1934 and still continues under the title Girls Brigade. Rev. Shepherd left in 1937. There were difficulties during the 2nd World War, but there was an eagerness to expand in 1945, when the Boys Brigade was formed, all this without a Pastor. Soon after the war there was an upsurge in Christian unity when the church welcomed the Rev. Twilley. By 1958 there was a full time minister Rev. Kendrick, whose son, a writer and musician has many of his songs included in the Songs of Praise book. There were big changes in the midst of this turmoil, population movement and influx. The sweeping away of landmarks and unsettling of the way of life in this Area. 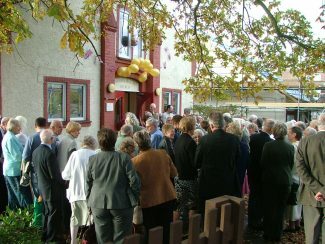 The Baptist Church celebrated its 50th Anniversary in 1959. Rev. Kendrick left in 1963 and there was a new form of shared pastorate-dual ministry with Kingswood Baptist Church. Under some pressure from Basildon Development Corporation, there was some discussion regarding the location of the church building; it was decided to stay put in the building you see today, with various Improvements. The Church membership remained strong and in 1984 there was a new minister Rev. David Saunders, who eventually moved into a new Manse in Laindon. Mother and Toddler groups started in 1985. Links developed with other churches. 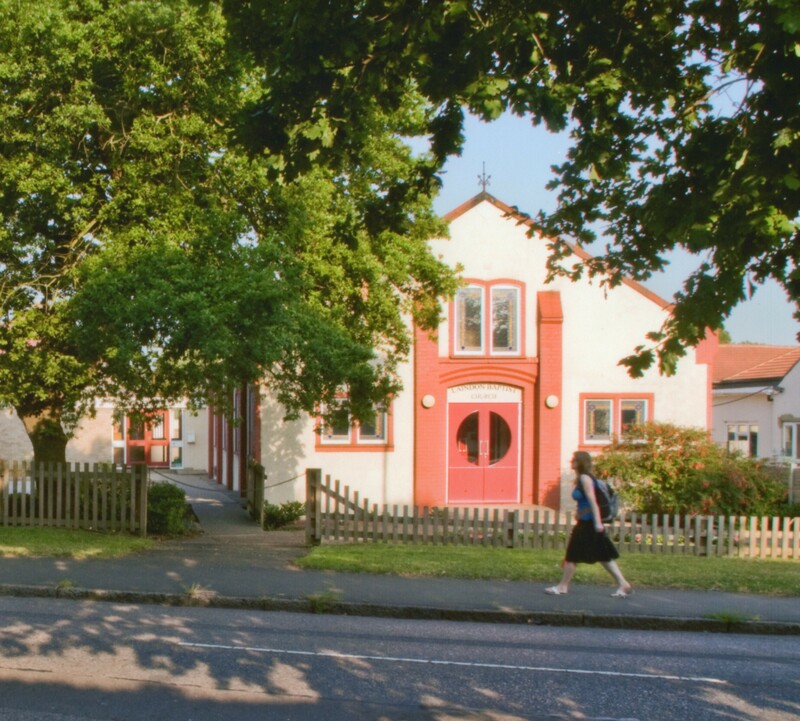 The Rev, Saunders left in 1994 and the church once again was without a minister until it was decided in 1997 to take a student Pastor, Duncan Wright; much was achieved during this period. When Duncan and his family left for a permanent position, there was a further gap before another Student, Chris Simpkins came in 2005. New meetings came into being and others revived. The current Noahs Ark and Girls Brigade are still very active in the Church. There is now a full time minister, Rev. Eric Baldin and his wife Jenny, the church is enjoying the benefit of their many years of experience. 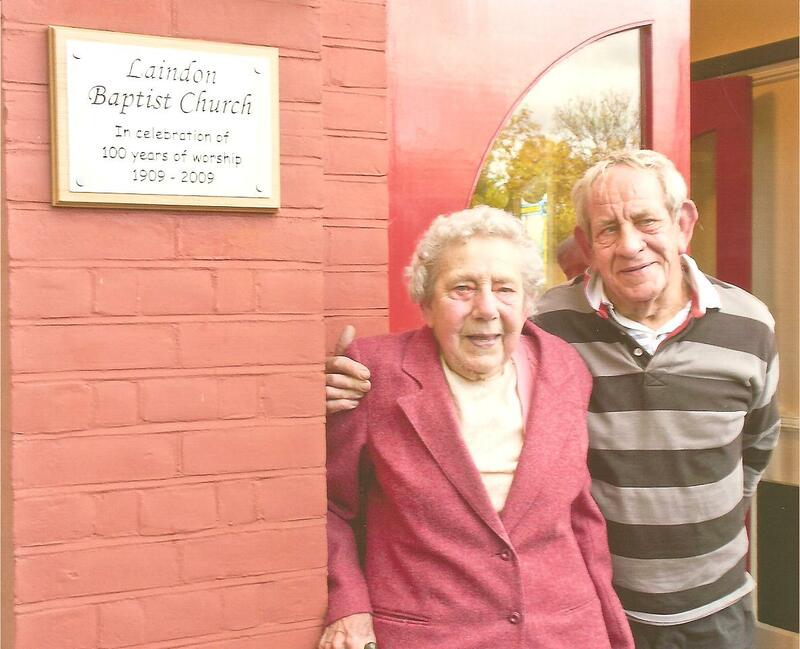 Ministers and students have been mentioned in this brief history of Laindon Baptist Church, but today’s church family remembers with gratitude many people who have worked tirelessly and faithfully in various capacities to keep the church functioning. Unveiling by Hilda Kiddell of the plaque commemorating the Centenary. Hilda Kiddell, a long serving member of the Fellowship and her brother Brian alongside the commemorative plaque. Hello Pat, I expect by now you will have finished your book. I have one photograph taken about 1947 – a group of GLB with your sister Jean at the front taken in the Salvation Army Hall in Laindon. I still go to Laindon Baptist Church and helped organise the Centenary celebrations Hilda sadly passed away just before Christmas. Editor: John I agree with you and have relocated the article. I have as a result of recent research found that early there was considerable integration between the free churches when they set up in the community. I put a number of photos into a collection for the centenary. I am not sure if you were in any of them, my pics were possibly from 1954 as I am trying to remember when I first had a camera! I remember the name Franklin! Lovely article and I especially enjoyed the old black and white photos – would be good if someone could provide more details of that wedding. Hello Pat. 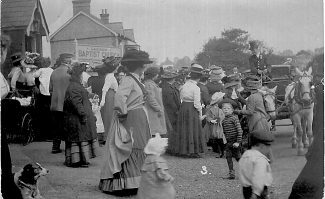 My cousin recently told me about your message and the site re Laindon History and I am now spending far too much time browsing!! My mother, Margery Schofield, was for many years the Girls Brigade Captain at Laindon but sadly I have no photos at all of that time. I know there were a lot of photos exhibited at the Centenary celebrations back in 2009 so perhaps if you contact the Minister of the church he may be able to help. My parents were also married there in 1941. Best wishes for the book. Our parents, Jim and Sally Franklin were married in this church August 5th 1933. Jim was a Deacon for many years and occasionally took the services. My sister and I often pumped the organ. We also went to GLB when Mrs Fuller was Captain and Hilda Kiddell was her lieutenant. Does anyone know of the existence of any photographs taken 1947-54? I would love to find some to put in a book I am writing.